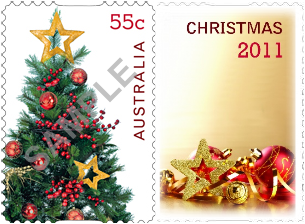 Australia Post has surprised us with three new personalised stamps for Christmas. 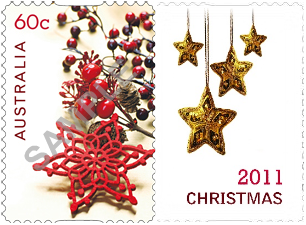 The two 55c designs (Christmas Ttree and presents) will be printed in the same sheet, while the 60c holly design will be printed in its own sheet. I should have stock of these by early next week.